The hot weather is already here and as much as I love feeling the warmth of the sun against my skin, there is always one question that hangs on my mind. When did I last wax my legs? 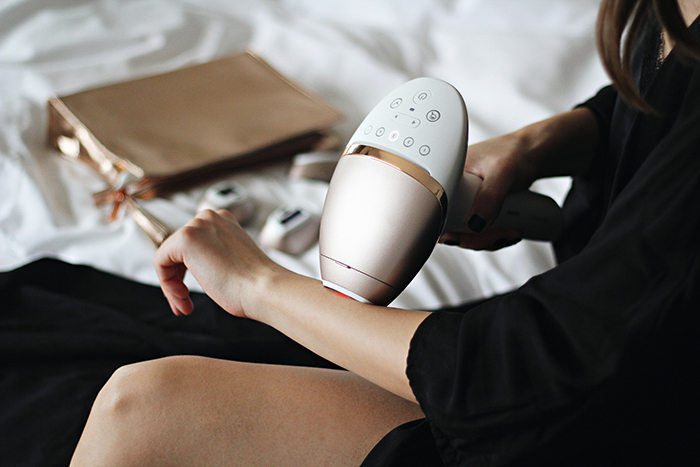 When it comes to beauty treatments I'm definitely in a do it yourself team, so when Philips asked me would I try the latest Lumea device I instantly said yes cause I was more than curious to see the results. In case you're not familiar with it, Lumea Prestige is a long-lasting IPL hair removal solution offering up to 92% hair reduction in just 3 treatments. Easy to use, its attachments are uniquely designed for optimal results in each body area, including facial and bikini hair removal. It even advises the best setting for your skin tone. Not to be confused with laser, IPL is short for Intense Pulsed Light - a new technology that puts hair into resting phase in the comfort of your own home. The product works by applying gentle pulses of light to the hair and the hair root, just underneath the skin. These hairs naturally shed in the following couple of weeks post-treatment, and any re-growth is inhibited, resulting in silky-smooth skin for longer. All you have to do is use the device five times (every two weeks). And to maintain results, you can touch up every 6-8 weeks. That's how I swapped chill and did the IPL with Netflix instead. After my first use wondered why I waited so long to try it. I have to admit that I was a little bit sceptic as to how effective this would be. However after only one use, I already could see the result on my legs, where the hair took longer to grow back and was thinner than previously and after the third treatment it was noticeable reduction of up to 92%. Heaven! 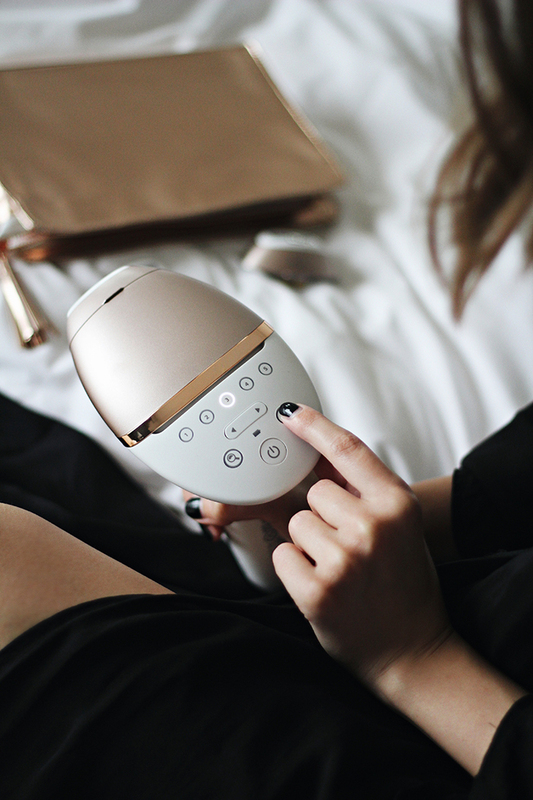 And if you were worried about safety, don�t be, because IPL may not be suitable for certain hair colors and skin types the Philips Lumea Prestige features an in-built, exclusive SmartSkin sensor, which accurately assesses your skin�s suitability for treatment and then advises the most effective setting. It�s safe to say that the hair-removal process has never been smoother or easier!